« Dan’s scarf knit in Cornell college colors is just off the needles….good thing…he’s off to college in three weeks! The pillow in this photo was stitched by my grandmother more than 30years ago! 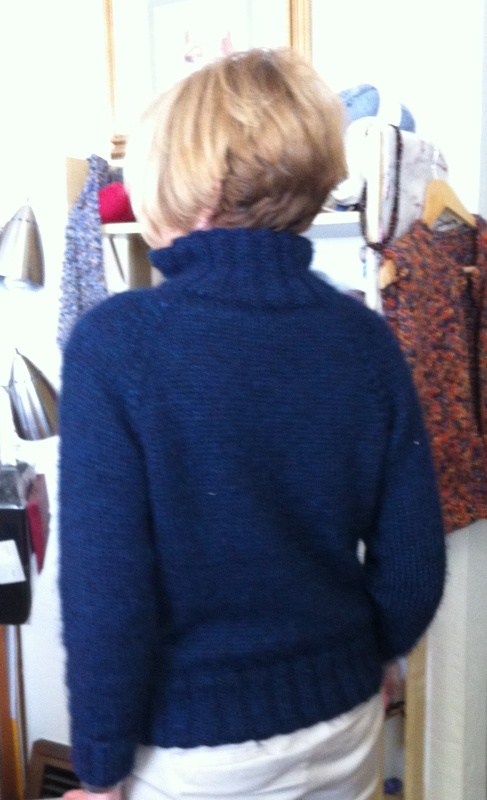 Carole joined the “Top Down Sweater” Workshop a while back…and embarked on a top down cardigan. Along her cardigan journey she has been involved in dog shows with her beloved Dulcee….a Portuguese Water Dog. Not only have dog shows often taken her away from her knitting…but Dulcee had a litter or two…and Carole whelps the pups! So you can enjoy and appreciate her glee at completing her top-down cardigan. 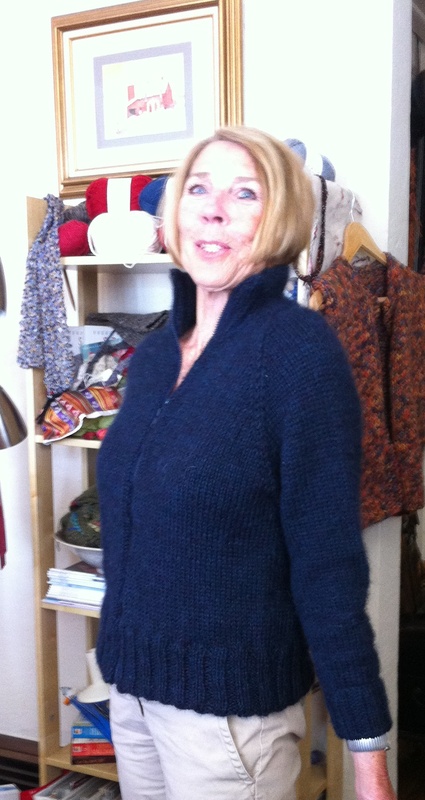 She worried about the zipper….she did a fantastic job with both the knitting and the zipper…..it fits her perfectly. Carole’s cardigan fits her beautifully. Wow, very nice! It fits you perfectly.